See the best Dispensaries San Diego has to offer. Walk through a commercial grow, smell the aroma. Clients rave about our "Top Shelf" service and our guides. We are the Premier San Diego Cannabis Tourism company, offering our visitors a glimpse into the cutting-edge world of cannabis legalization as it takes place in California and beyond. It is our goal to share this emerging world with as many people as possible in an atmosphere that is educational, enjoyable, and above all, entirely legal! The San Diego 420 Dispensary Tour was created for Medical Marijuana patients and soon available to all recreational users under new legislation we see coming soon! . San Diego's Cannabis Vacation Tours include transportation, 420 friendly bed and breakfast, dispensary tour, marijuana cooking workshop, a Cannabis Grow facility tour and provides visitors with a unique overall unforgettable San Diego experience. Airport Pickup - Day 1. Classy warm welcome pickup from San Diego (SAN: San Diego International Airport). You will be greeted by your host, refreshments and 420 meds in the limousine and immediately taken to the first dispensary. Dispensary/City Tour Day - Day 2. We go see the best San Diego Dispensaries for a tour, some freebies and access to top quality cannabis, edibles and concentrates. City Tour/Cannabis Cooking - Day 3. Spend the first half of the day touring the amazing city of San Diego in the comfort of a cannabis friendly limousine. In the evening at the warm and inviting Cannabis Dispensary Tour Headquarters with an edibles and infusion expert who will walk you through step by step how to make edibles, tinctures and extractions. Special San Diego Tour - Day 4. Beach Trip - Day 5. Go on an incredible beach tour to awe inspiring seascapes along San Diego with your medicine and time for cliffside hikes if you like. You deserve the night off to spend as you choose or stay and hang out with your hosts. Transportation provided to San Diego Gaslamp District. Last day, Going Home - Day 6. Relax and enjoy the company as you get ready for your trip home. You will be dropped off at the airport by our San Diego Dispensary Tour Limousine. Get VIP treatment and great freebies at the dispensaries, meet other awesome cannabis patients and see San Diego with your meds in a totally legal and safe environment. Possibly the greatest Cannabis Tour in the World! San Diego Cannabis Friendly Bed and Breakfast with art and furniture inspired by Amsterdam's Cannabis Cafes and Bars. 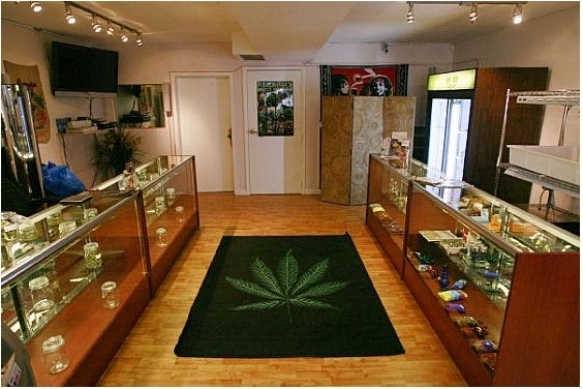 "If you have a medical marijuana card in any state of the US it only takes a few minutes to get all set up. This will surely be the greatest Cannabis tour and trip you will every take. Just bring your toothbrush because everything else is meticulously taken care of for you by the kind and helpful hosts."